See how the powerful, insightful Qlik Monitoring Applications can expand and improve the governance of your Qlik environment when you join us for this all-new webinar. Solve experts will provide a detailed overview, and show you how Qlik Monitoring Apps let you know the health of your Qlik Server (CPU, memory usage, etc.) and provide valuable information on usage, license monitoring, peak usage times and more. Then, they will demo both the standard and optional monitoring dashboards. Stop by Booth 108 to see our sophisticated embedded, extended, write-back and self-service BI solutions utilizing the powerful Qlik Platform. Sponsored by Solve, this Technology Executives Club full-day event will explore how area CIOs, innovators and digital executives are driving immediate growth, transformation and scale. What’s more, experts will discuss the new technology stack, aligning data strategies to support digital transformation, and strategies for redesigning business architecture, delivery models and development. Stop by our table to see how Qlik embedded, extended and self-service BI solutions can transform your analytics. NAMES brings together the “Who’s Who” of manufacturing executives, cutting-edge technology providers and media partners for North America’s premier manufacturing event. A Qlik Elite Partner, Solve will showcase Qlik embedded, extended and self-service BI solutions. Join Solve and other experts in Davisware service management technologies for top-notch training and important insight into the latest industry best practices. Stop by our booth to learn about our Qlik solutions for the Global Edge and Global Warranty platforms. Sponsored by Solve, Midmarket CIO Forum is an engaging, informative and social venue for IT executives and solution providers focused on technologies for the midmarket. The Forum is an invitation-only conference that covers the cost of hotel, flights and meals for qualified participants. The tremendous insight about the interests of the participants allows a customized experience, ensuring that new connections will be relevant and productive. A Qlik Elite Partner, Solve will showcase Qlik embedded, extended and self-service BI solutions. Join Solve and Qlik in Dallas for CIOarena™ for the opportunity to explore the most relevant topics in IT in an executive-driven educational format. CIOarena™ summits are world-class thought leadership events that provide attendees with expert insights that can be integrated into their professional roles and firms. Stop by our exhibit to learn how Qlik embedded, extended and self-service BI solutions transform analytics. Sponsored by Solve, this Technology Executives Club seminar will explore how CIOs and senior technology, digital and innovation executives are driving Sponsored by Solve, this Technology Executives Club seminar will explore how CIOs and senior technology, digital and innovation executives are driving the change to the digital enterprise and a culture of innovation. Join us to discuss the new IT delivery model, the new technology stack, how Wisconsin companies are powering innovation, evolving into an agile environment and aligning strategies to enable digital transformation. Stop by our table to see how Qlik embedded, extended and self-service BI solutions can transform your analytics. See all that’s awesome about Qlik NPrinting – and get an in-depth look at all its capabilities – when you join us for this 45-minute webinar. Qlik experts from Solve will show you how NPrinting lets you create reports from your Qlik Sense Applications and QlikView Documents, and distribute them automatically in a range of standard formats. What’s more, you’ll see how NPrinting allows users to subscribe to reports from a web interface on a computer or mobile device. Configuring, scheduling, and distributing reports. User portal for users to view, download and subscribe to available reports. Sophisticated roles-based security at the app level for administrators, developers and recipients. Enterprise scalability and enhanced governance. And we’ll show you sample reports and demonstrate how easy it is to build reports using an NPrinting Excel template. Join us and 100 IT leaders for a day of collaboration and exchange on the direction of the Office of the CIO, featuring riveting keynotes, revealing panels, engaging roundtables and unparalleled networking. Stop by our booth to learn how Qlik embedded, extended and self-service BI solutions transform analytics. Find out what’s new in Qlik’s February 2019 Release of Qlik Sense, discover the new capabilities offered by its new Visualization Bundle, and see all the other enhancements it delivers when you join us for this all-new webinar. Don’t miss this opportunity to learn about the latest enhancements to Qlik Sense! Sponsored by Solve, this Technology Executives Club seminar will explore how CIOs and senior technology, digital and innovation executives are driving the change to the digital enterprise and a culture of innovation. Join us to discuss the new IT delivery model, the new technology stack, how Wisconsin companies are powering innovation, evolving into an agile environment and aligning strategies to enable digital transformation. Stop by our table to see how Qlik embedded, extended and self-service BI solutions can transform your analytics. Big Squid technologies automate machine learning to power the world’s most data-driven companies. And Big Squid’s machine learning platform, Kraken™, was designed to augment your existing analytics capabilities and allow you to quickly surface insights and predictive solutions. Join us on December 18 for “Automating your Machine Learning and AI Initiatives: How to Get Started” to learn how Qlik and Kraken accelerate analytics, and to see a demo of Kraken. Register now! Who is Big Squid? And what is Kraken? Here is a quick video overview. Stop by our table to see how Qlik embedded, extended and self-service BI solutions can transform your analytics. Co-sponsored by Solve, this one-day conference offers the latest on business intelligence, analytics and big data, including guidance on strategy, ROI, architecture, data governance and self-service, and insight on ways to design a strategic roadmap and enable digital transformation. Stop by to see how Qlik embedded, extended and self-service BI solutions can transform your analytics. And attend our presentation – “An Implementer’s Guide to the Gartner BI Magic Quadrant” – in which we will present an insider’s view of the toolsets in the Leaders segment, including Qlik. As organizations move along an analytics journey, the path leads from analyzing historical data (descriptive and diagnostic) to predictive and prescriptive. Please join us on Nov. 15 at 10 a.m. to learn about Data Science with Qlik and see a demo of Big Squid’s Kraken Product. Big Squid’s Kraken™ Platform puts the power of predictive analytics and machine learning into the hands of the business user and decision-maker, allowing organizations to gain insight into future trends. With Kraken, organizations can easily construct machine learning models in three easy steps, forecast key business metrics and explore different what-if scenarios a business could take to make smarter decisions faster. Click here to see quick video overview and learn more about Kraken. Don’t miss this opportunity to get the insight you need to start your journey to predictive analytics! Register now! Sponsored by Solve, this Technology Executives Club seminar will provide real world insights from CIOs and senior technologists as they share their strategies for integrating both new infrastructures and emerging technologies into their organizations. Stop by our table to see how Qlik embedded, extended and self-service BI solutions can transform your analytics. Sales and marketing data often is last in line to get meaningful analysis. But QlikView for Salesforce lets you jump ahead with a fast, powerful and intuitive way to turn Salesforce data (and other external data) into insightful dashboards and reports. Don’t miss this opportunity to discover a better way to view, use and understand your CRM data! Register now! 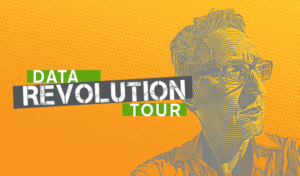 Sponsored by Solve, these stops on the Qlik Digital Revolution Tour will help you discover the key to transforming your entire business with data. 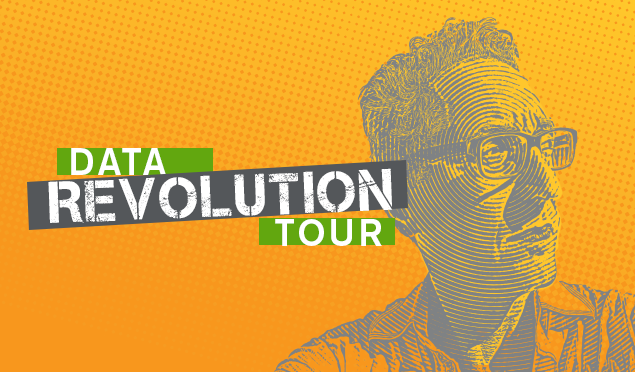 The Qlik Data Revolution Tour is free, but seats are limited. Registration is open! Learn how when you join us for this webinar! Register now! Hear about Qlik’s September 2018 release and see a demo of its new features. Plus, learn about NodeGraph and what it can do for understanding your Qlik environment through data lineage and governance. More about NodeGraph: In a Qlik environment, it’s important – and often time intensive – to know the answers to these questions: Where did this field come from? What applications use this data? What applications will be affected if I change this table? Is anyone using this QVD (and how)? NodeGraph, an add-on to QlikView and QlikSense, solves this problem, visually displays your Qlik solution from source to application, and allows you to explore, visualize and trace your data, know if it’s up-to-date, and see how it is calculated. Don’t miss this opportunity to learn more about Qlik Sense and NodeGraph! Join us on October 4 at 10:30 a.m. CDT for this 45-minute webinar and demonstration. Sponsored by Solve, Midmarket CIO Forum is an engaging, informative, and social venue for IT executives and solution providers focused on technologies for the midmarket. The Forum is an invitation-only conference that covers the cost of hotel, flights and meals for qualified participants. The tremendous insight about the interests of the participants allows a customized experience, ensuring that new connections will be relevant and productive. A Qlik Elite Partner, Solve will show you how embedded, extended and self-service BI solutions can transform your analytics. 700 San Jacinto at E 8th St. Sponsored by Solve, this event offers the opportunity to gather the key IT knowledge you need to be indispensible. This year’s agenda is carefully designed to provide you with the latest IT trends and knowledge needed to make the best possible decisions on behalf of your organization. It will allow you to see the best practices other leading companies have adopted, key IT challenges they are facing, and new solutions that are solving these challenges. A Qlik Elite Partner, Solve will be demonstrating how embedded, extended and self-service BI solutions can transform your analytics. Sponsored by Solve, this Technology Executives Club summit will offer discussion of the key strategies successful CIOs are using to launch or grow their innovation program. Whether you work for a large enterprise with an innovation lab or center, or a smaller, mid-cap organization, and you just want to create more innovative ideas for your company, this event is for you. Stop by our table to see how Qlik embedded, extended and self-service BI solutions can transform your analytics. Industry 4.0 promises to transform organizations with levels of insight previously unattainable with ERP-centric approaches. However, the purpose-built edge devices and applications are also creating more data fragmentation than ever before. While these individual systems all have their own interfaces and big data stores for analyzing an individual process, it can be daunting to look across processes and organizations. One of our customers had to get data from fifty-seven systems to create a corporate quality dashboard – even though they had SAP fully implemented. In this webinar we show how we use Qlik to blend the data from all of your data sources to provide comprehensive views of Quality, Production, Machine Efficiency, Labor Efficiency, Maintenance, Supplier Scorecarding and more. The avalanche of data generated by Industry 4.0 presents a huge opportunity to improve your organization’s cost of quality. This can done by being able to respond to issues in near real-time, through predictive modeling, and by supercharging continuous improvement tools with improved data. The huge challenge with this avalanche of data is being able to overcome the fragmented nature of the data to provide comprehensive views that are tailored to each role in the organization. In this webinar we show how we have overcome this challenge to drive improvements as radical as cutting scrap costs by 50% in 12 months. Come talk to us about emerging technologies at Qlik that support embedding, extending and self-service analytics. We are glad to have our initial Milwaukee Qlik meetup hosted by Solve and Qlik. You are invited to learn more about Qlik as well as meet other Qlik users in the Milwaukee area. Qlik GeoAnalytics provides powerful map visualizations and location-based analytics for both Qlik Sense and QlikView. Casey Lauer from Qlik will have a demo of the GeoAnalytics tools, as well as session to build from scratch. Mix in a little food and drink (Provided) and some conversation. This annual summit put on by the Technology Executives Club explores best practices in Technology Innovation & Leadership. We will be showcasing how companies can innovate through the embedding, extending and self-service capabilities of Qlik Sense. Learn More. Come Join Us at Our Waukesha, Wis. Office Open House! The Online & Digital Grocery Summit 2016 will bring together the leading Retailers and CPG brands to understand the key actions to optimize your brand’s e-commerce strategies and increase your online sales. Midmarket CIO Forum is an engaging, informative, and social venue for IT Executives and Solution Providers who are focused on technologies for the midmarket. What are the possibilities locked within your data? Start discovering them by joining us at Visualize Your World. Join the Nation’s most innovative mid-market CIOs and IT Leaders for 2 days of educational sessions, solution research and peer networking. SIM Chicago’s Charity Golf Outing supporting i.c.stars, a Chicago based not-for-profit organization. Since 1999, i.c.stars has been identifying, training, and jump starting technology careers for Chicago area low income young adults. Using project based learning and full immersion teaching, i.c.stars provides an opportunity for change driven, future leaders to develop business and technology skills. We are looking forward to attending the Microsoft World Partner Conference to stay abreast of the new developments that we can use to help our customers. 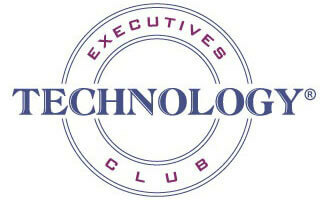 Technology Leaders Circle Luncheon for Senior IT and Technology Leadership “Embracing The New Staffing and Management Model” We are a sponsor of this event. What if anyone in your organization could access a dynamic dashboard to explore vast amounts of data, find meaningful insights and share them with anyone in your organization? It has been said that the best acquisition a bank can make is of a new customer. But let’s face it – organic growth is hard to find. For banks, if you want to grow your revenue, deposits, brand, market size and market share, this is a can’t miss conference. The goal of this conference is to address their user’s industry-specific issues. Just like the software applications and solutions, the User Conference provides solutions that keep us at the top. Immerse yourself in three days of inspiration, innovation and engagement designed to give you and your bank the competitive edge. Connect with the global Qlik community and data enthusiasts from around the world. Give your BI approach a serious boost. Based on our experience in banking and business intelligence, you will learn how financial institutions can use customer and member information strategically to better understand, acquire, and serve ideal customers and members. Technology offers community banks the most direct avenue to a sustainable competitive advantage. It is the foundation of every financial services product, from analysis and planning through distribution and control. Unprecedented market challenges and organizational pressures on revenue enhancement and cost-efficiencies all threaten standard operating procedures. The first to see the new Star Wars The Force Awakens film. We premiered the event at ShowPlace ICON, 1011 S Delano Ct in Chicago, IL. Each year, TEDxNaperville hosts the Chicago area’s best and brightest minds, providing them with a platform to share their power and radical ideas. We spent an exciting afternoon learning the powerful techniques you can use to maximize sales with Qlik Sense. We explored how to discover which customers have not yet purchased specific items, and how to recover sales that would have otherwise been lost. This discussion will discuss the components of a Measurement System that creates a measurement mindset, builds a measurement skillset, and provides a measurement toolset for and by the entire organization so the can ask and answer good questions and driver smarter actions. During this event, we will discuss a variety of tools used by area companies on on automating data management processes by providing business-focused applications where collaboration and ease-of-use come first.